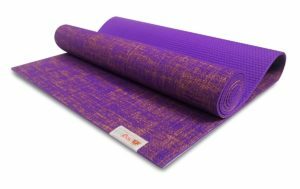 Material is one of the most important factors when deciding on your next yoga mat. For a variety of reasons, many yoga practitioners are drawn to natural fibers. In this article, we will explore the best jute yoga mats available. Jute is a vegetable fiber that can be spun and used to create a variety of materials, including familiar items like burlap sacks. Its production makes it affordable, and eco-friendly. 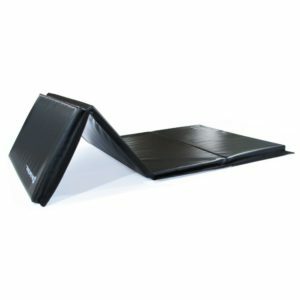 It also turns out the product is ideal for yoga mats. The material offers firmer resistance than many foams. This ensures better grip when performing yoga. Firmness is also important when you want a mat that will last a longer period of time. One downside to jute is that, being a natural fiber, it may require some clean up. This is especially true the first couple of times a jute mat is used. Expect some shedding. The texture and shedding factor mean that a purely jute mat is probably not a good idea. However, some companies are using the natural bonuses of jute to improve their yoga mats. The Sattva Jute Mat by Hugger Mugger is one of the best jute yoga mats for portability. It’s extremely lightweight, in this case around 2.5 pounds, making it ideal for taking to classes or to practice somewhere new. 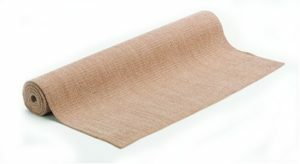 This jute mat will hold its firmness for a long time, even after being transported repeatedly. This mat comes with a backing of PER (Polymer Environmental Resin) to assist with its stickiness and help it stay put on the floor during your poses. This coating is hypoallergenic, and unlikely to grow mildew. Clean up is as simple as wiping it down. Machine washing is definitely not recommended, as the the underside needs to retain some of its stick to remain effective. One thing to keep in mind with this mat it is a natural fiber mat that will require some wearing down for softness. Unlike foam mats, which are created with smooth textures in mind, jute mats are highly textured and woven to increase grip and absorption. 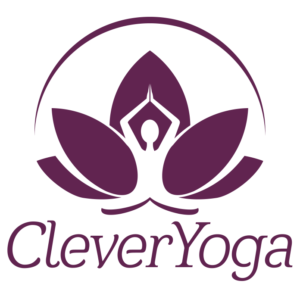 Also, while this mat will keep its firmness longer than other yoga mats, its density is not high. It does cushion against the floor, but sitting in poses on your knees for long periods of time are not as ideal as ones where you are seated. While it weighs the least out of the mats our list, it is long than other mats. This is a bonus for taller people who fret over mats with enough length that they also need to take to classes. 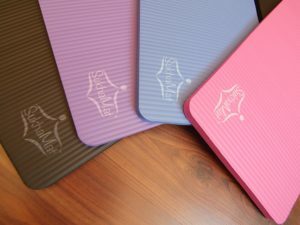 Sometimes we use yoga mats for different kinds of yoga, pilates, or other fitness activities. The Natural Jute Exercise/Yoga Mat by I am Athletics is the most versatile on our list. Its blend of jute and eco PVC give it enough firmness and grip to hold up to repeated pilates movements and holding yoga poses. It also comes in two color combinations that highlight the texture of the natural jute. 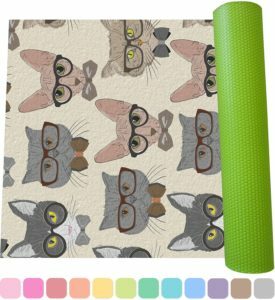 This yoga mat is easy to look at in any setting. However, this mat is not very absorptive, and requires a towel when used for hot yoga. Luckily, it is easily cleaned, with just a damp cloth. 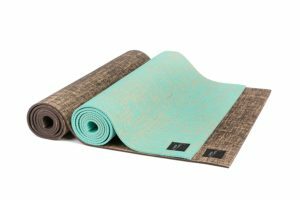 Those new to yoga mats made from natural fibers and not just foam may want to ease their way into the category. 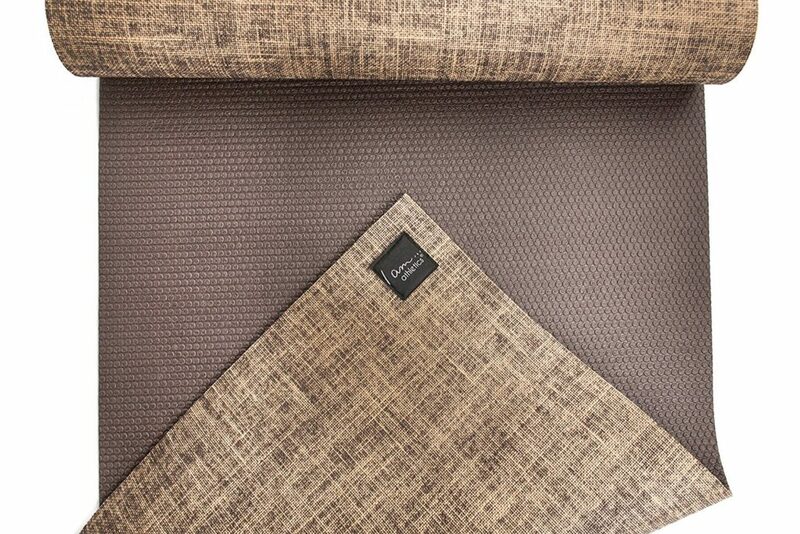 Yogi Mall’s Jute/Eco PVC Premium yoga mat is a great intermediary mat that is beautiful to look at and has two sides. 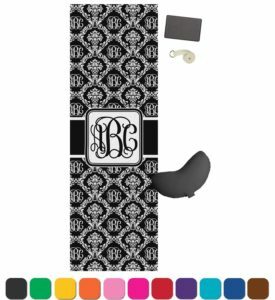 It comes in 3 colors and includes a velcro strap for transportation. One side is made of jute and the other is PVC eco plastic, so that you can choose when the added grip of jute would be beneficial. That being said, one complaint about this mat is its low blend of jute to PVC. In use, it may become more slippery than other natural fiber mats. The jute will also have to be worn in and provides a lot more texture than foam mats. The good news is that it can be easily cleaned with soap and water. Jute mats offer a lot of benefits to the ecologically conscious, as they are made from materials that have less of an ecological impact than yoga mats made entirely of manufactured foam. 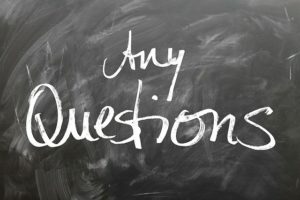 However, not all jute mats are ideal for all practices. 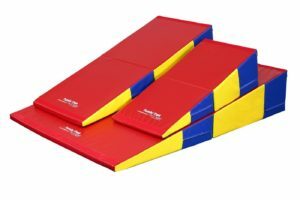 Some are heavier, and some mixed with materials that create more slip than grip. When picking the best jute yoga mat for you, keep in mind how and where you intend to use it.